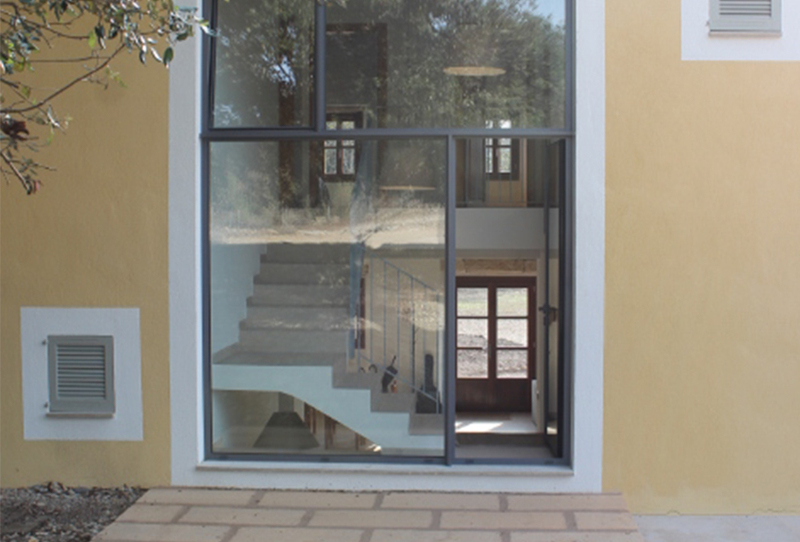 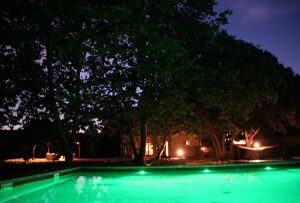 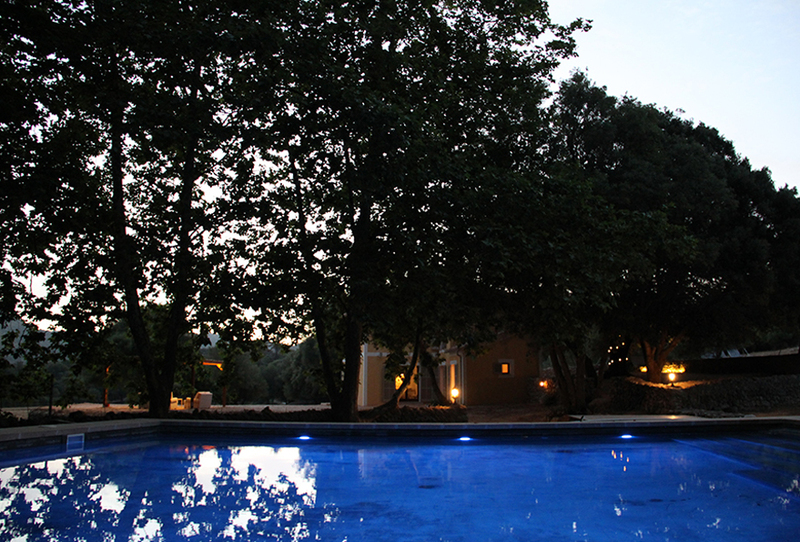 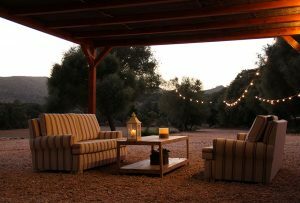 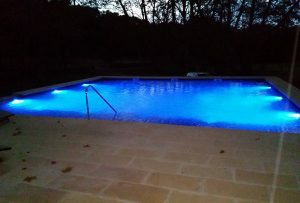 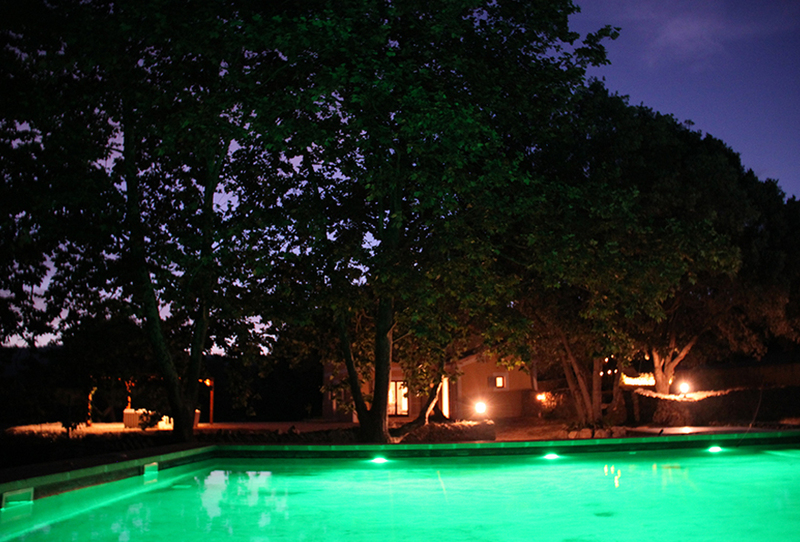 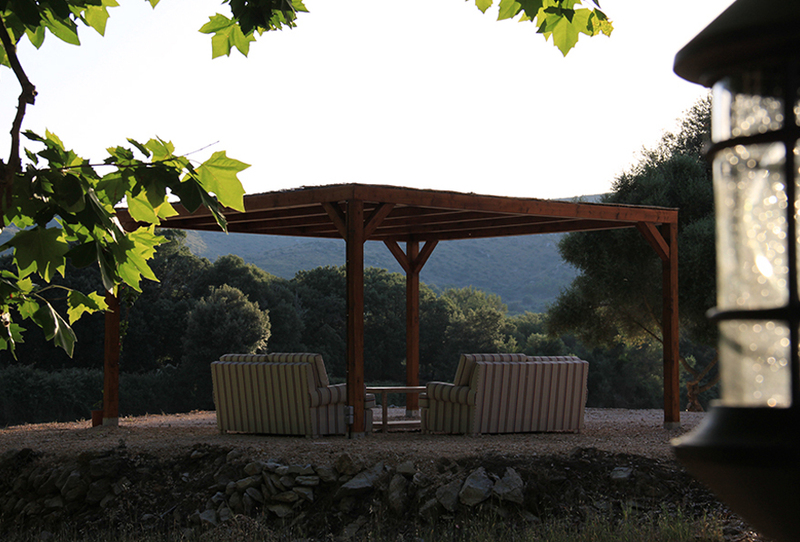 In addition to the Hotel Ca’n Moragues, a few kilometers from the hotel we offer you the possibility to book a sustainable and smart house located in an ecological and surrounded by trees and oaks that will allow you to enjoy total privacy, it consists of ground floor and first floor with a total of 217 m. built. 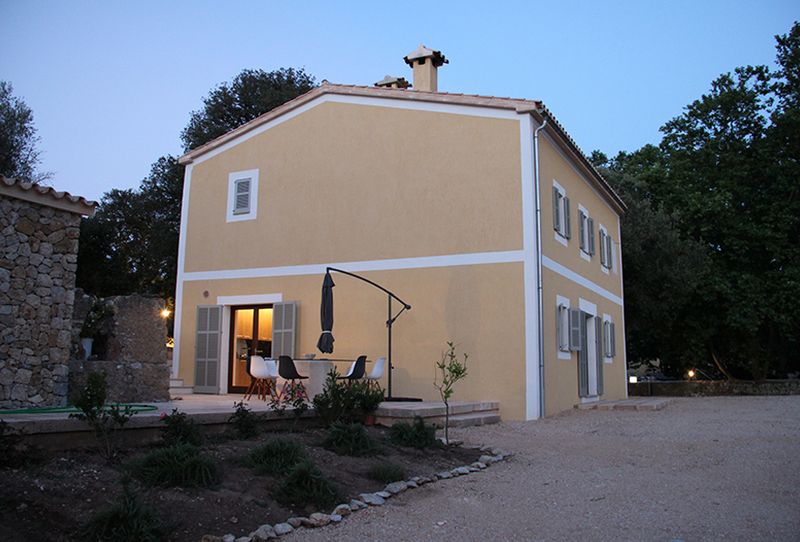 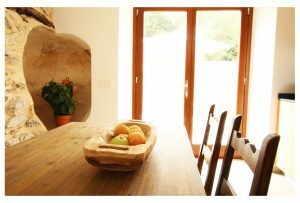 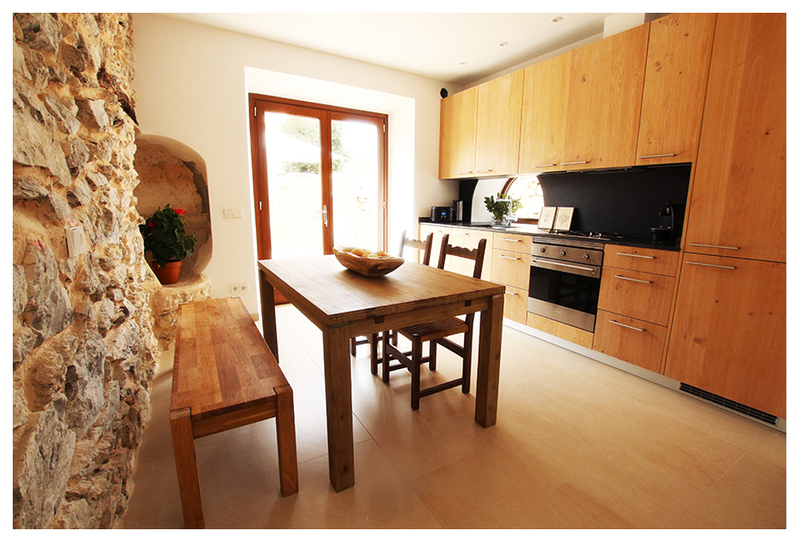 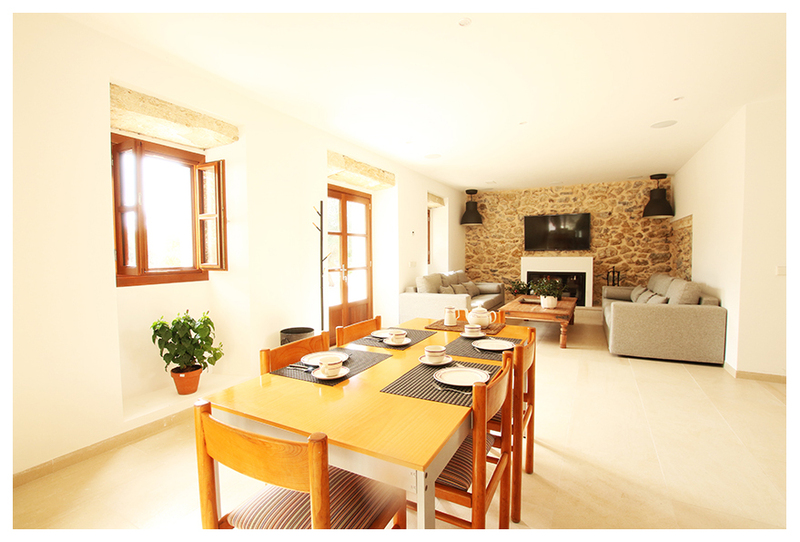 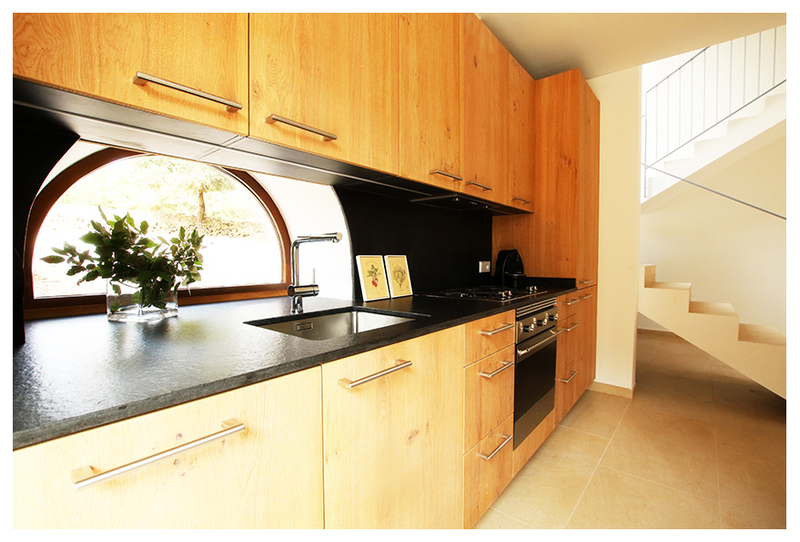 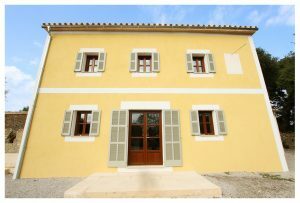 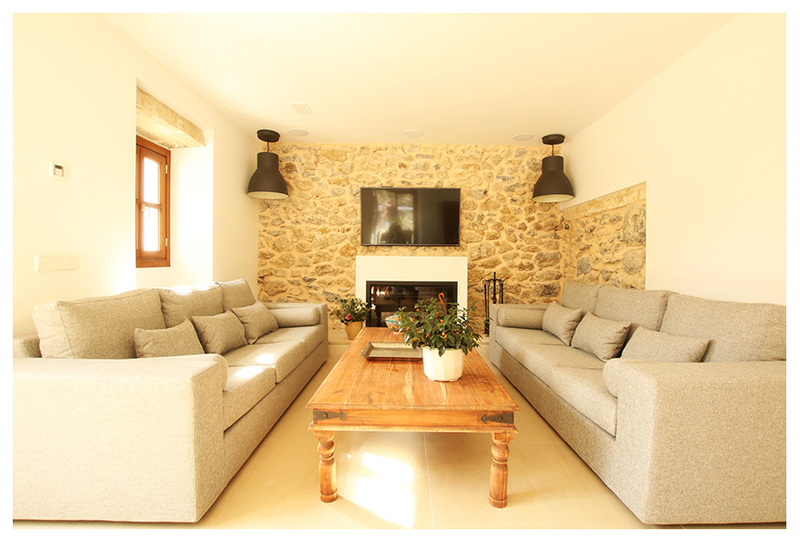 Mallorcan house, situated in the Arta local area, and it has ground floor, living room with fireplace, wifi, T V 55 “, music inside and outside the house plus a bedroom and fully equipped kitchen. 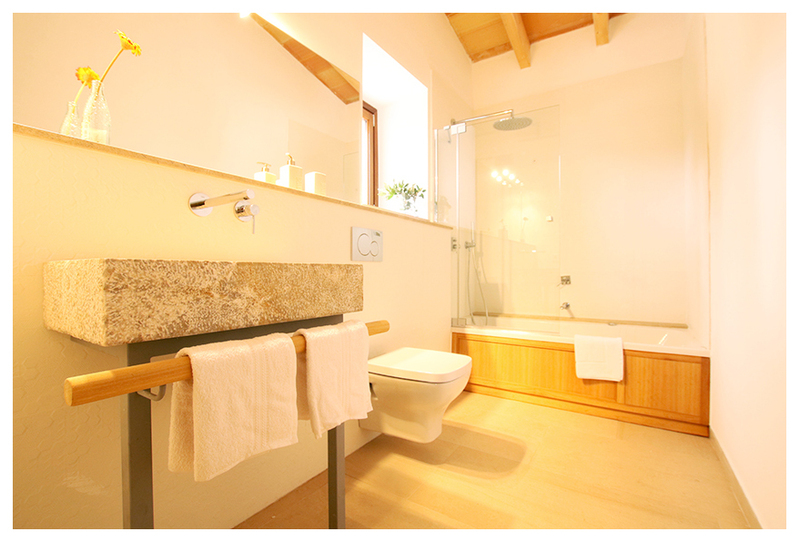 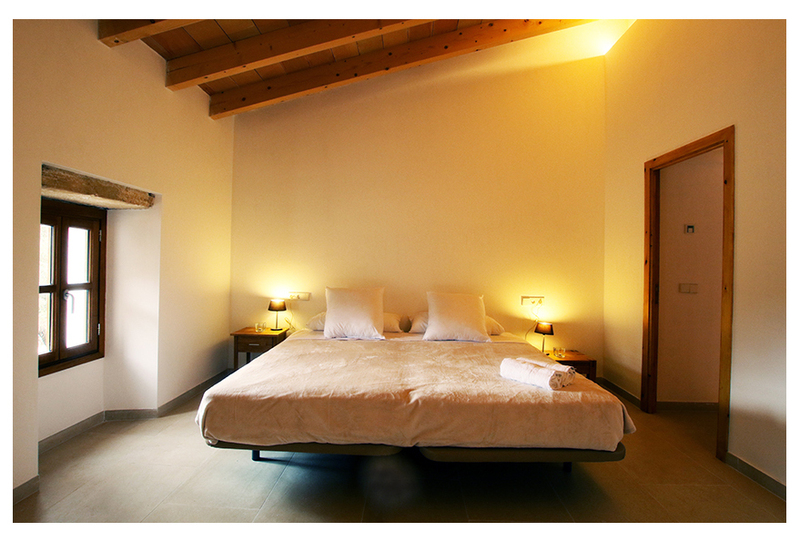 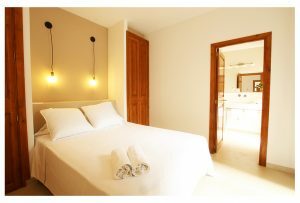 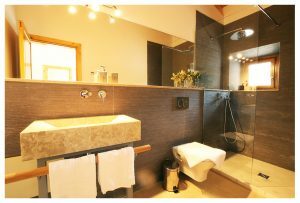 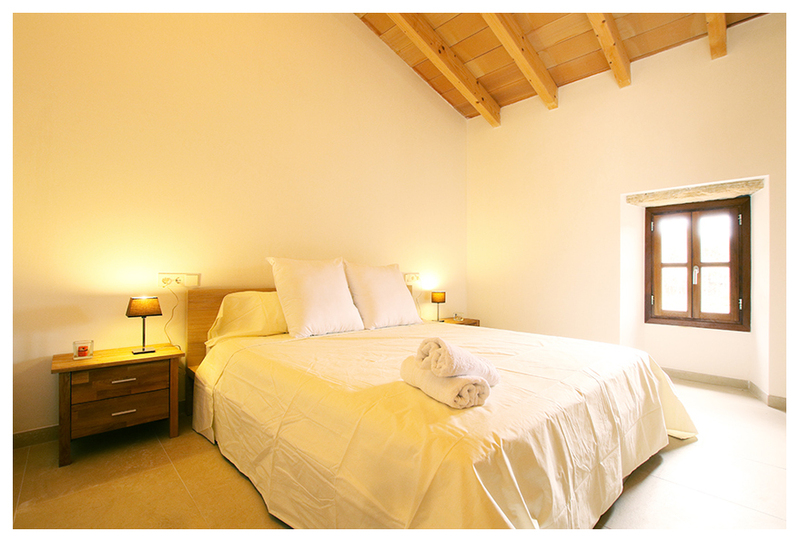 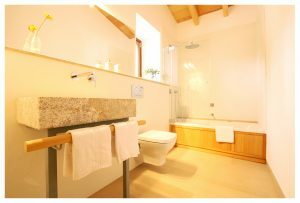 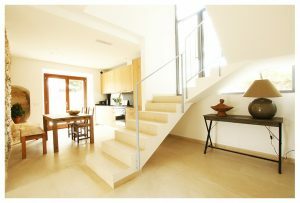 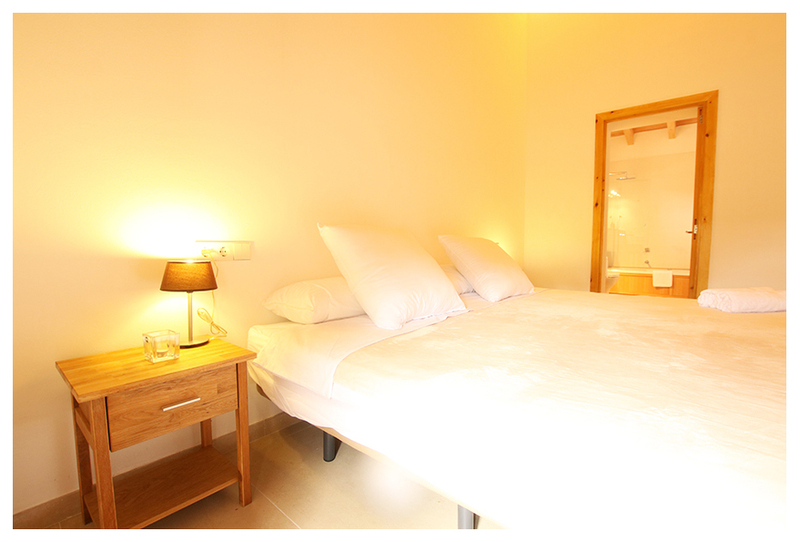 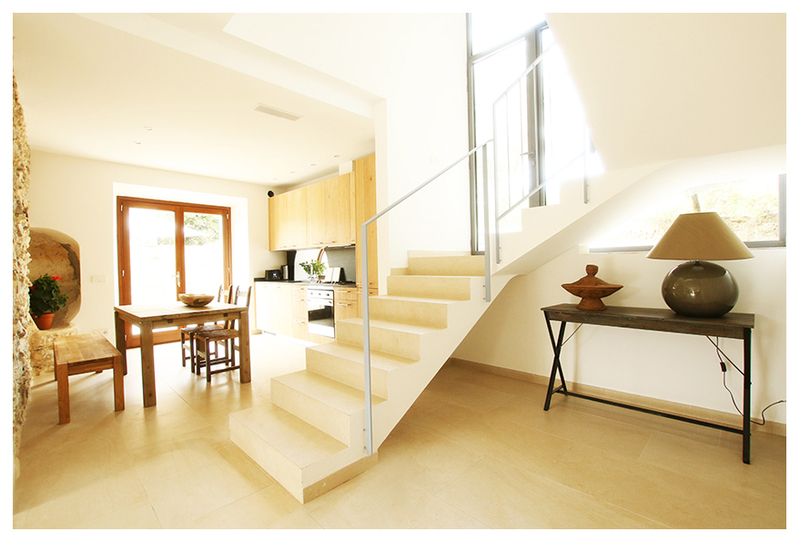 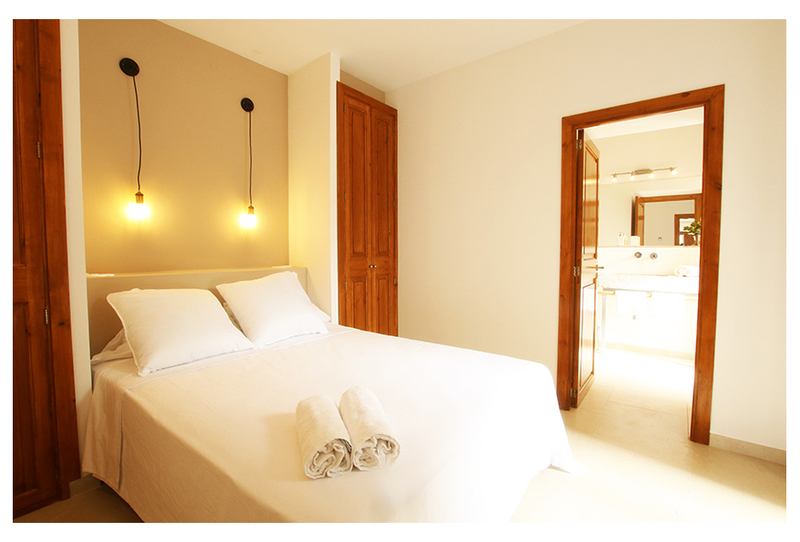 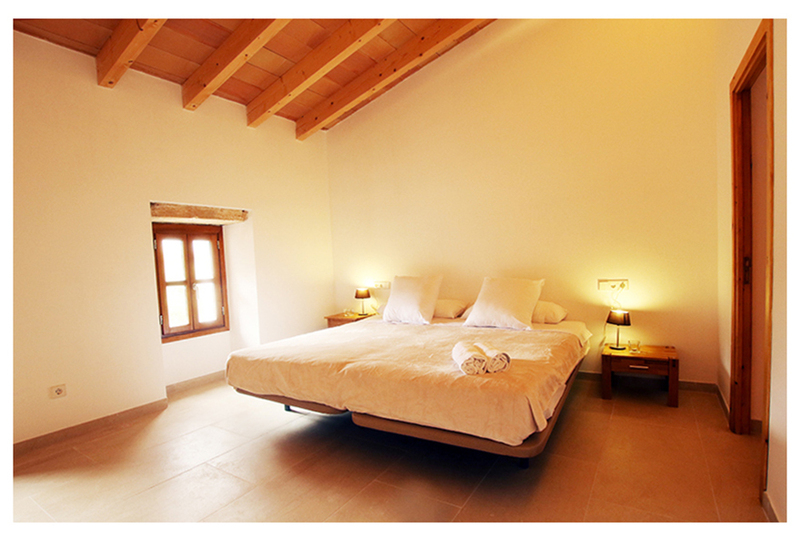 On the first floor there are 3 bedrooms, one of them with a Jacuzzi, and two more with a shared bathroom. 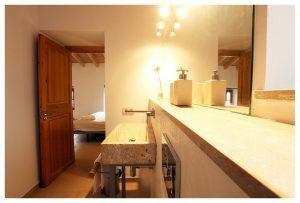 All rooms have Wi-Fi connection, underfloor heating and beautiful views to the exterior with capacity for 10 people. 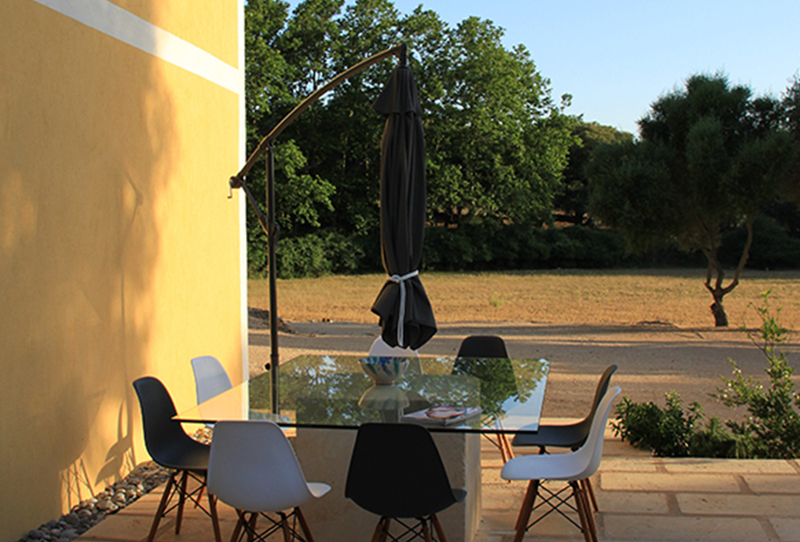 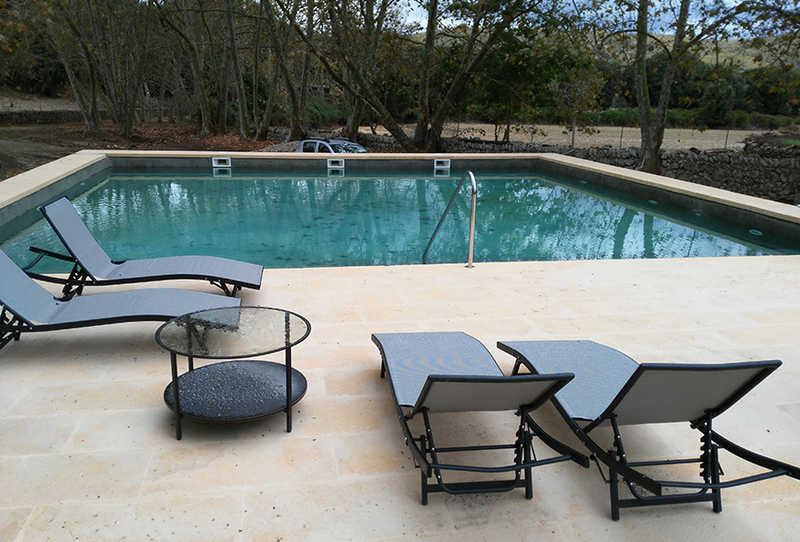 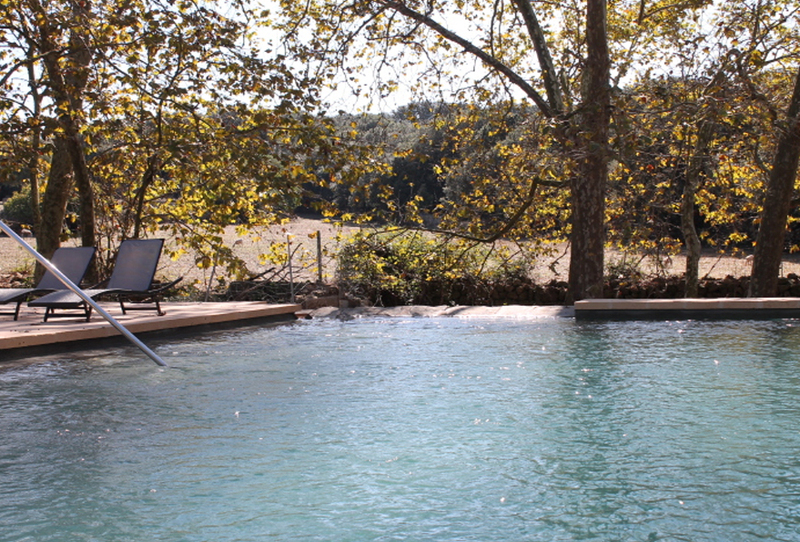 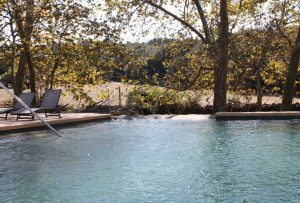 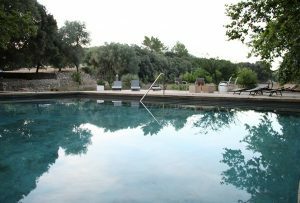 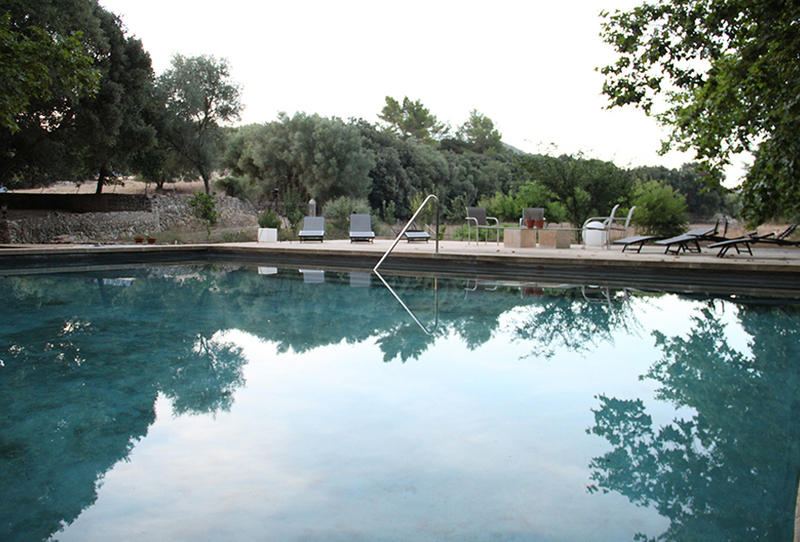 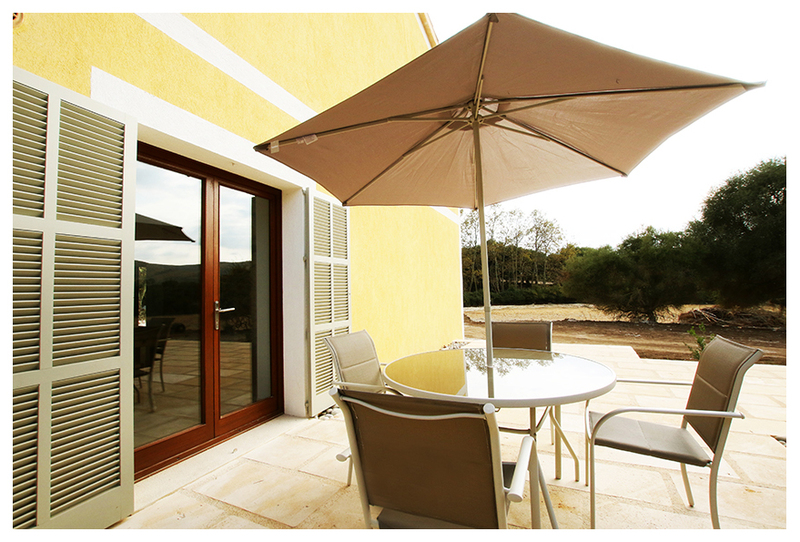 In the exterior you can enjoy a pool with sun beds, umbrellas, shower and terrace with furniture and an orchard with fruit trees for use and enjoyment of our guest.